Our studio is located in a 1935 Capitol Hill landmark building. Keeping some of the old world charm; old growth beams, exposed brick and vintage skylights, we renovated our 2600 sq. ft. facility and added new amenities such as central heat and air, cork flooring and new front windows. With high ceilings and plenty of natural light, our studio is warm and inviting and at the same time spacious and luxurious. We have one fully-insulated massage room and a Pilates boutique, where you can buy fitness apparel, and accessory equipment for use at home. We offer a wide variety of services at Pilates On 10th! We want to focus on providing health for not just your body, but your heart and soul as well. From group classes, to private sessions, to the amenities you can find in our studio such as massage, we are here for you. "My 1-on-1 training has not only helped me to have no pain, better posture and overall strength [...]"
"I have been going to classes and privates there for more than four years, and have greatly improved[...]"
"Pilates does me a lot of good – I feel better physically when I leave than when I walked in. [...]"
"The instructors carefully worked with me through knee surgery and a shoulder fracture [...]"
"They have also done a masterful job in resolving the pain and limited range of motion caused by my torn rotator cuff[...]"
We care about finding affordable ways for everyone to start their personal fitness journey. 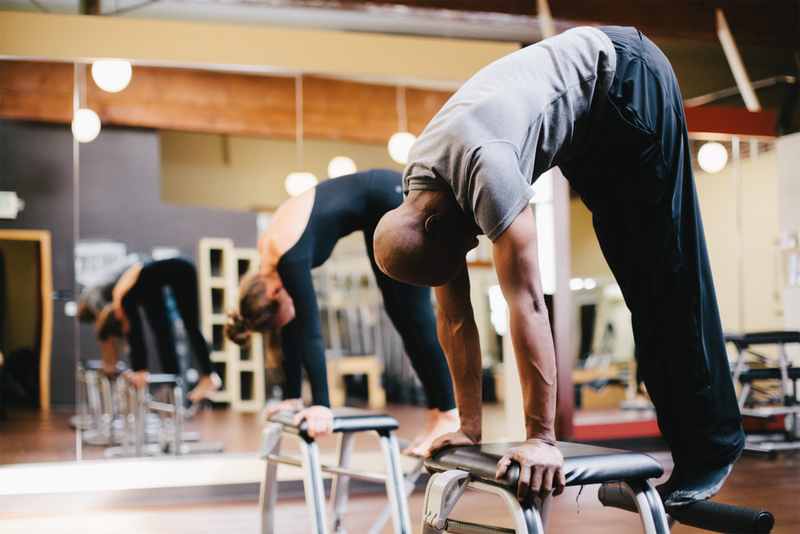 Before beginning the application process, we recommend that you take a few classes at Pilates on 10th to ensure that we're the right fit for you! We are not currently holding any free community classes, but we do offer a 15% discount to professional dancers in the community as well as a 20% discount for Peak Pilates® Students. Our Work Study Program consists of both janitorial and administrative duties. We require a 3 month commitment to a weekly schedule of 3-4hrs/week. In exchange for your time and efforts, you will receive free group classes (not including private sessions) based on availability. If you think we'll be a great fit, please email Pilates on 10th management at info@pilateson10th.com or by Submitting a Request below.